Volkswagen went on a trademarking tear this week, reserving nine names that could apply to motorized vehicles with European Union Intellectual Property Office. The names are I.D. 1, through I.D. 9 and will likely apply to the brand’s suite of upcoming electric vehicles. Volkswagen has already spent a lot of time and effort applying the name to its EV concepts, simply calling its first post-dieselgate EV concept based on the MEB platform “I.D.” After that, it released the I.D. Buzz, I.D. Crozz, and I.D. Vizzion concepts. It also called its Pikes Peak record-shattering EV racer the I.D. R. With all that time and effort, it would stand to reason that they would want to cash in on the name recognition they have established for the I.D. brand. Volkswagen has claimed that all four of the above-mentioned concepts (I.D., Buzz, Vizzion, and Crozz) represent vehicles that it fully intends to put into production, so that takes care of I.D. 1, I.D. 2, I.D. 3, and I.D. 4 and leaves VW with plenty of space to grow. The naming convention also reflects a trend in the wider automotive industry to number models rather than name them. Here, I’m thinking of the Polestars 1, 2, and 3; the Lynk&Co 01, 02, etc; Cadillac’s XT4, XT5, and CT4 and 5, too; among others. But VW might be doing more than just following trends with this naming convention. A compact car called the I.D. 1 and a retro-van called the I.D. 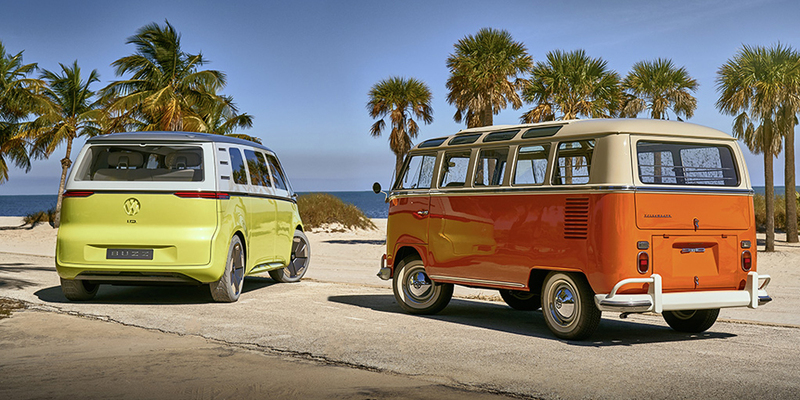 2 could be seen as a callback to the Type 1 and Type 2, better known as the Beetle and the Bulli (or microbus, or van, or whatever else). Better yet, the sedan could be called the I.D. 3 as a nod to the Type 3 (and I think we can all agree should mean a notchback, fastback, and wagon version would be brilliant). We, admittedly, don’t have a clever callback name for the Crozz—which, remember, will be America’s first I.D. product—but I don’t suppose everything can be a nod to the past. The release schedule of these vehicles would mean, though, that numbers would be released out of order for my plan to work and the I.D. 2 would only arrive in 2025, which might make it unattractive route for VW. If they were to use I.D. numbers to harken back to Type numbers, though, it would also suggest that the I.D. 1 is about as Beetle-y an EV as we’re likely to get, putting the Beetle well and truly to bed for a good long while. That is what VW promised, though, so I suppose it’s not a surprise and since the beginning, the brand talked about the I.D. as a cross between the Beetle and the Golf. With production of the I.D. set to begin in 2019, VW should be getting ready to show off the production version shortly, and we’ll know for sure if these trademarks are applied (or if it’s just VW covering its bases). Although that one won’t come to America, reports this week suggest that the production I.D. Crozz will start at $21,000, when it arrives in showrooms in 2020.